The anxiety in the country is on the increase as we inch towards the general Presidential elections. The tension cannot be avoided with the pockets of violence that have been recorded at various rallies across the country. The week was filled with exciting events, but most of them were overshadowed by the election campaigns. 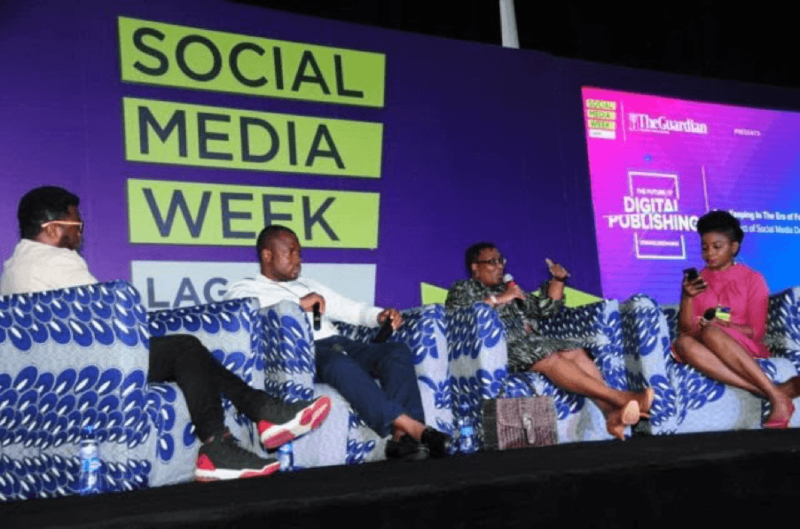 Social Media Week Lagos 2019 threw a good jab at the populace hosting a session on “Fake News” including a panel comprised of representatives from media platforms. The group included Taiwo Kola-Ogunlade from Google, Nicolas Ibekwe from Premium Times, Adaora Ikenze for Facebook and Lolade Nwanze represented Guardian Digital. The session hosted by The Guardian, was tagged ‘Gatekeeping in the era of fake news; the impact of social media during elections’. According to Taiwo Kola-Ogunlade, the spread of falsehoods on social media could be reduced if users understood the motives behind persistent claims by other users. He explained that despite the challenges of sanitizing falsehoods off the internet, it becomes easier when users verify trending texts, pictures and visuals with Google tools, especially during election periods. He called for collaborative efforts from Nigerian media houses to provide more social media education for users to discourage misinformation from political sources. Facebook representative, Adaora Ikenze, stated that due to the broad reach of its platform its difficult to totally prevent users from posting content, but noted that some posts are instantly verified when reported and sometimes removed immediately. Nicholas Ibekwe of Premium Times, said disinformation is as old as mankind but there is a rise in the speed and extent of its spread. He urged social media users to check that the information they receive is endorsed by a credible news source before posting or sharing with other users. The fake news session was well attended by journalists and bloggers. I had an amazing time when my friend, Queen Esohe Igbinoba, took us on a story-telling ride. The focus was on helping small and medium scale businesses, content creators and media practitioners tell their stories in compelling ways. It was an opportunity for me to connect and tap into her expertise. I have been caught in the crossfire of one too many debates on who is fit and who is not fit to rule Nigeria in the next dispensation. The truth as I have always maintained is that Nigeria has a lot of capable hands, but most of them do not have the structure to sustain a government. Kingsley Moghalu for instance has proven himself in some of his past endeavors but if elected, who would support his proposals to the national assembly? He would most likely be a loner who may find it rather difficult to influence decisions in government. Fela Durotoye is quite vocal and I love his table and figures. Going by the figures he reels out, he is indeed a man who has spent time identifying Nigeria’s potential in terms of human and mineral resources but ruling a country like Nigeria demands a lot more. There are several other aspirants from his party, and while brilliant fellows, going by the opinion polls, not much should be expected from them. Donald Duke seems to be saddled with internal party crisis, I believe Duke may be able to make some impact but from the events within the party, you can see that there is little chance for him at the polls. Omoyele Sowore, has been able to shake some tables across the country with his radical campaigns and all out attacks on the past and present governments. Truth, however, is that he is unlikely to get 10% of the people he has reached in these past few months to recognize his party logo and vote for him at the polls. All said, we are left with the two major gladiators, President Muhammadu Buhari and former Vice President Atiku Abubakar. With the current gist making the round and efforts by the handlers of Atiku, pundits say his chances are on the rise. This may be true but a question has been on my mind ever since I participated in a poll to test the popularity of all the presidential candidates. Former President Obasanjo dealt an eternal blow on Atiku and year after year, Atiku goes-a-pleading with this same man. In his book, ‘My Watch’, Obasanjo had called Atiku all things but good; when Atiku didn’t debunk any of the claims publicly, I took it that he was indeed guilty and I found it quite disturbing that no one is asking questions on those grievous allegations until this moment. 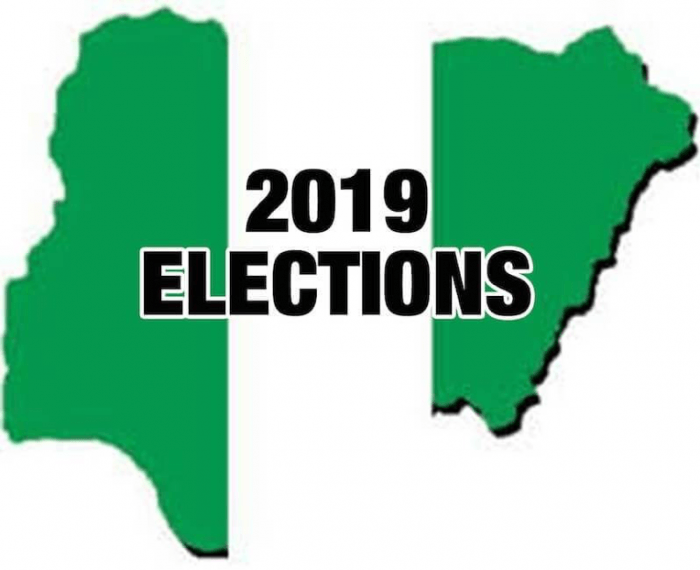 It is this premise that has left me in doubt about the chances of Atiku winning the elections on February 16, 2019. As for President Muhammadu Buhari, the power of incumbency is there for him, I have not overlooked the media flops of his in recent times, but his resolute drive towards the anti-corruption war and the political gimmicks that he has exhibited in the past year, clearly points in the direction of victory. Who do you think will win the presidential elections on Saturday? Please share your thoughts with us in the comment box. And on another note, have you ever thought about the dangers of consuming adulterated vegetable oils? I was a panelist on this subject on Nigeria’s most popular radio to discuss the subject. Consuming adulterated or unbranded vegetable oils exposes you to the risk of cardiovascular diseases, cancer and eye diseases. It is important to look after your health by paying attention to what you feed your body. Remember to make somebody smile today, whenever, wherever. Stay with YANGA! TV for updates on the elections with us.